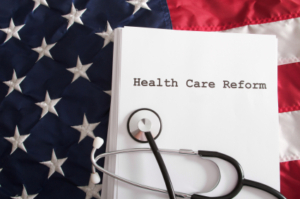 At the same time that the Trump administration announced that it has asked a federal court to repeal the entire Affordable Care Act, the Urban Institute has published a report detailing the potential impact of the health care reform law’s repeal. According to the Urban Institute report, repealing the entire Affordable Care Act would add almost 20 million Americans to the ranks of the uninsured. Medicaid and CHIP enrollment would fall by 15.4 million people and millions of others would lose the tax credits they used to purchase insurance. Some would purchase insurance with limited benefits and individual plan premiums would rise while others would go uninsured. In addition, repeal of the Affordable Care Act would lead to an 82 percent increase in hospital uncompensated care, to more than $50 billion. About half of the states would see the amount of uncompensated care provided by their hospitals double, the Urban Institute estimates. Repeal of the Affordable Care Act would pose an especially great financial challenge for Pennsylvania safety-net hospitals because they care for so many Medicaid- and CHIP-covered and low-income patients who might lose their coverage if the reform law is repealed. About 700,000 new people have enrolled in the state’s Medicaid program since the state implemented the Affordable Care Act’s optional Medicaid expansion. Learn more from the Healthcare Dive article “Killing ACA would lead to huge spikes in uncompensated care” and from the Urban Institute report State-by-State Estimates of the Coverage and Funding Consequences of Full Repeal of the ACA. Filed in Affordable Care Act, Federal Medicaid issues, Pennsylvania safety-net hospitals. ← Medicaid Transportation Services in Jeopardy?